thermo drain FRP manhole cover & gratings. We are authorised distributor of sintex industries ltd. For there all products. 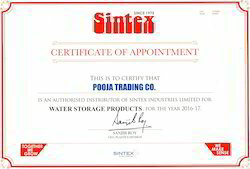 Attached herewith our sintex all products distributor certificate for your reference.